Jasper Johns is a member of the American Academy of Arts and Letters, the highest formal recognition of artistic merit in the U.S. This honor, along with his being the recipient of the Presidential Medal of Honor in 2011, is more confirmation that Johns is one of this country’s most outstanding artists. A further confirmation of Johns’ distinction, is his appearance in Season 10, Episode 19 of The Simpsons. Johns voiced himself in the episode, called Mom and Pop Art. Isabella Rossellini is the voice of the gallery owner. 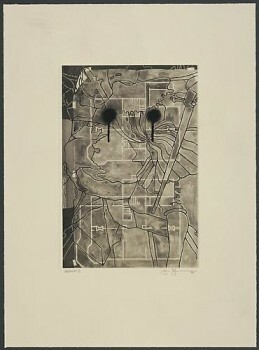 Jasper Johns’ life began in Augusta, Georgia in 1930. His parents were divorced when he was still a toddler and he was sent to live with his paternal grandparents in the rural town of Allendale, South Carolina. He was later shuttled between the home of his aunt Gladys in Lake Murray, South Carolina and the home of his mother in Sumter, South Carolina. After graduating from high school in 1947, Johns studied art at the University of South Carolina for three semesters and then left for New York to study at the Parsons School of Design. Johns was drafted into the army in 1951, during the Korean War. He was stationed in Fort Jackson, South Carolina, where he managed an art gallery, and then sent to serve in Sendai, Japan. When Johns got back to New York, in 1953, Andy Warhol, Robert Rauschenberg, Roy Lichtenstein and others, had formed an art community that was ramping up the Pop movement. 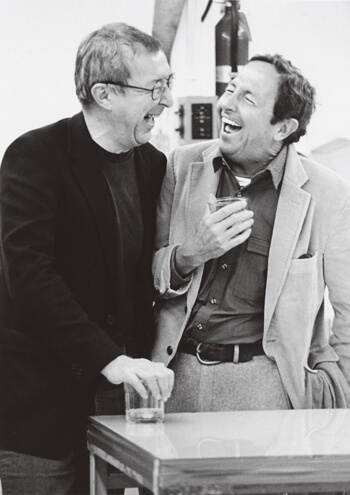 Johns and Rauschenberg lived together as partners and had a profound influence on each others’ works. Gallery owner, Leo Castelli, gave Johns his first solo show in 1958. The show included the work he had done during the preceding three years. His Flags, Targets, Numbers and Alphabets caused a lot of controversy at a time when Abstract Expressionism was the defining American Art movement. Being catapulted into the limelight may not have been easy for Johns, who was not as outgoing as Rauschenberg. In interviews, Johns appears shy and a bit nervous. 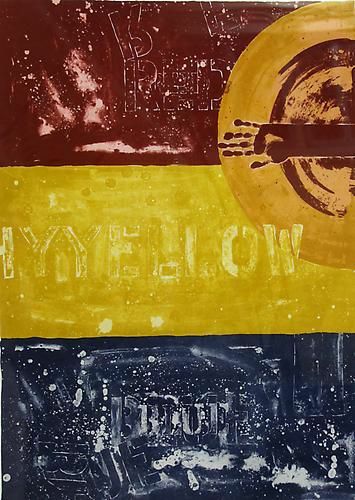 Johns began to create prints and to experiment with printing techniques in 1960. Etching, intaglio and other print methods enabled Johns to create interesting surfaces and textures in his work, like Periscope l, available in our gallery at this time. Creating sculptures seems like a natural progression of his work, since his paintings and prints have a sculptural quality to them. In 1988, the work False Start, sold at auction for $7 million, breaking the record for the highest price paid for the work by a living artist. Johns lives and works in his Connecticut home, and travels to his home on the island of St. Martin when it gets cold in Connecticut. 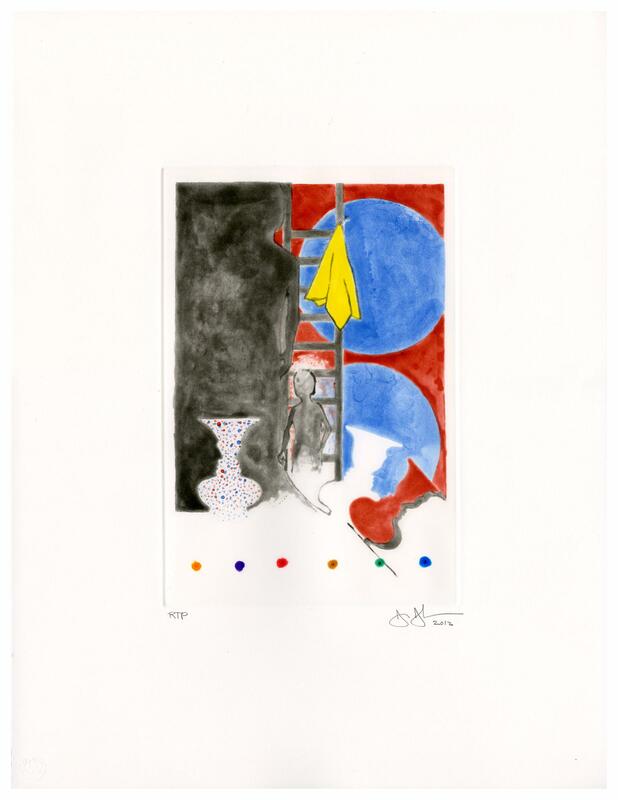 Jasper Johns is just one of the many artists whose work we offer for sale at Vertu Fine Art. Lithograph, 50 X 36.25 in. 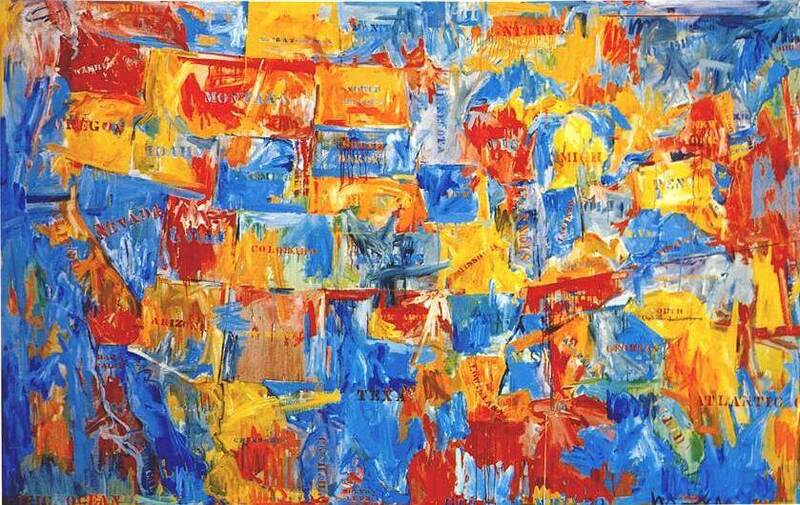 Jasper Johns is one of the artists featured at the Museum of Modern Art’s exhibit called Long Run. Each work, made after 1970, was done by an artist who was at least 45, although many were older. Included in the exhibit are works by Georgia O’Keeffe, Louise Bourgeois, Melvin Edwards, Gerhard Richter, Frank Stella, and many others. Many artists, like Jasper Johns, were young and hungry and eager to shake up the art world when they produced their seminal works. The current exhibit of Jasper Johns’ works at the Royal Academy in London is the most extensive show of the artist’s work to be held in the UK in 40 years. The show, called Jasper Johns: Something Resembling Truth, includes many of the paintings, drawings, prints and sculptures that Johns has created over the past sixty years. 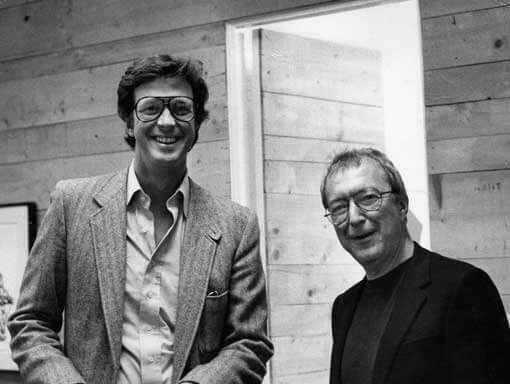 One of Jasper Johns’ biggest fans, and friend, was author Michael Crichton (Jurassic Park, The Andromeda Strain). Crichton was an avid art collector and had Johns’ notable painting Flag hanging in his bedroom for many years. Vertu is proud to have Jasper Johns prints for sale at our art gallery. The contemporary artist is considered one of the major pioneers in movements such as Minimalism, Abstract Expression, Conceptual Art and Pop Art. 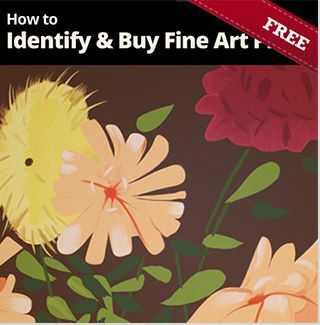 Johns has enjoyed a successful and prolific career and were eager to see what the artist still has to offer. 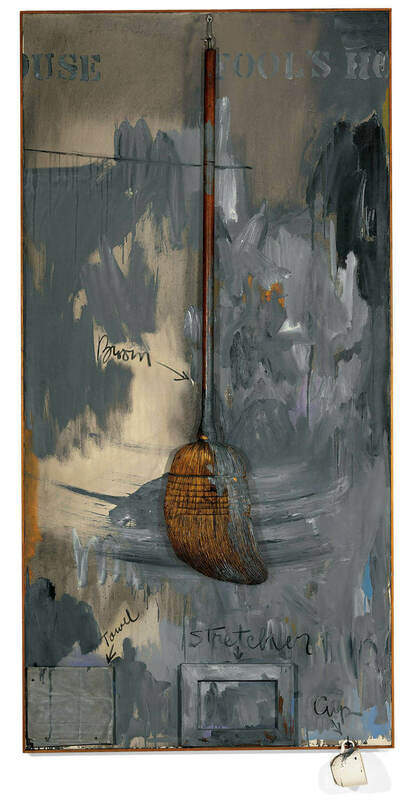 Jasper Johns’ quip, “Take an object. Do something to it. Do something else to it,” belies the underlying emotion that comes through in his work.